The Brand Box Club Gets Featured on VoyageATL! 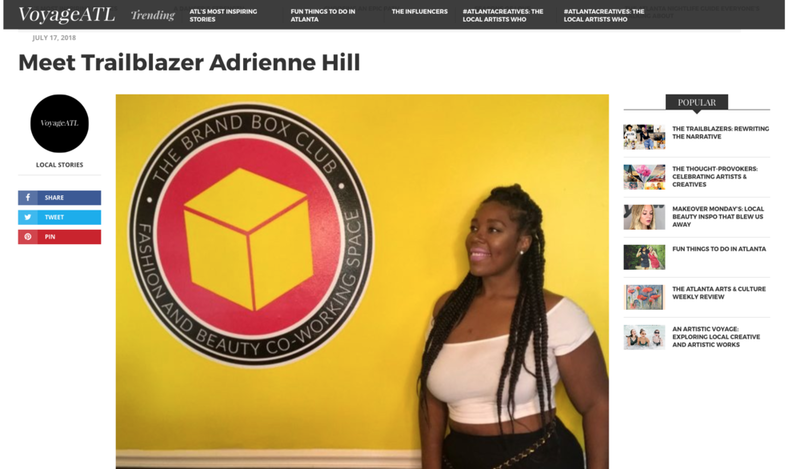 Our CEO Adrienne D. Hill was featured on the website VoyageATL through their Trailblazer Series! In the article, Hill discusses her journey of entrepreneurship and how staying laser focused has helped her chart new territories in record breaking time! Read the full article on VoyageATL.com here.